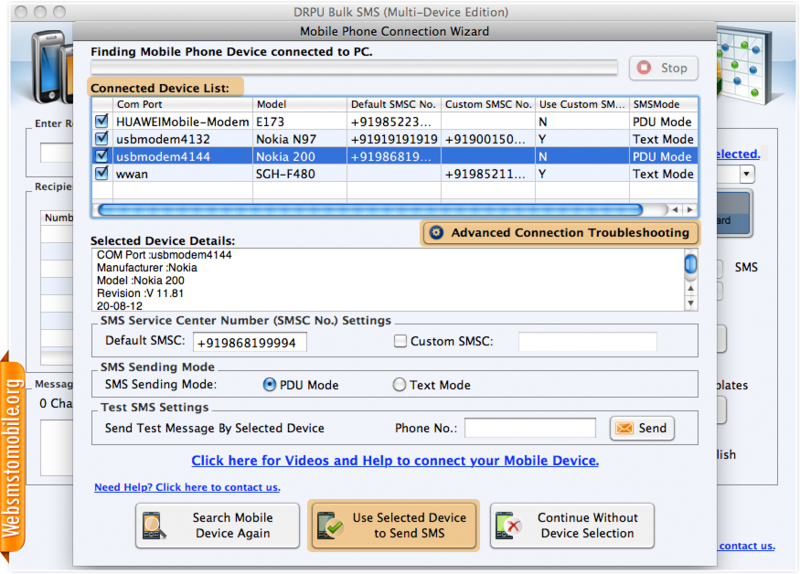 Screenshot displays list of connected devices with selected device details. 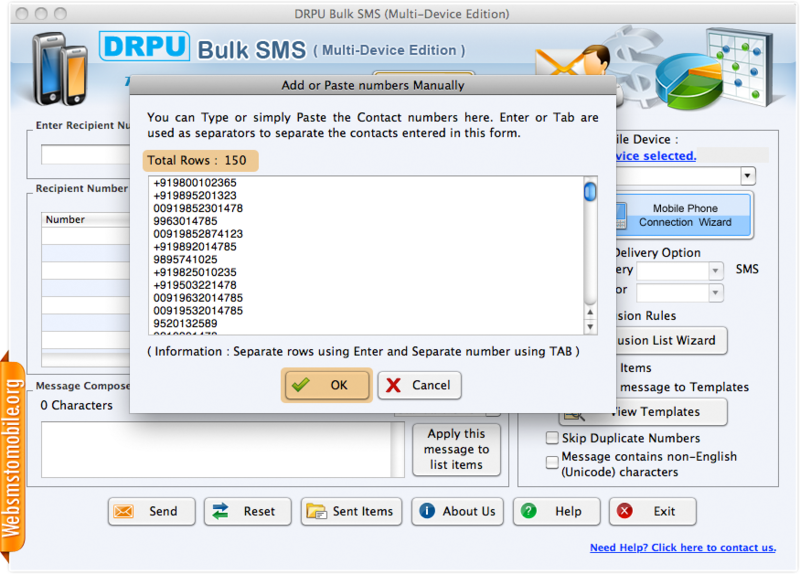 Click on 'Use Selected Device to Send SMS' to proceed. 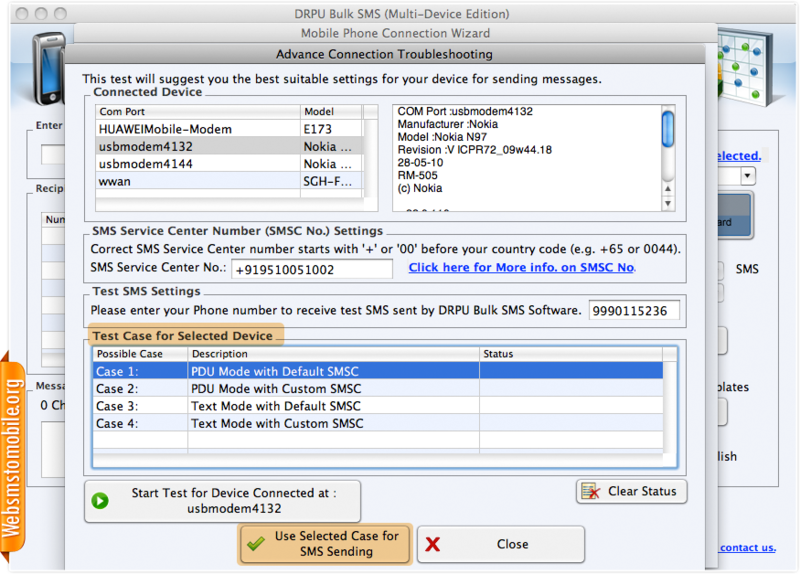 In case you are having any problem in sms sending process then go to Advanced connection troubleshooting. 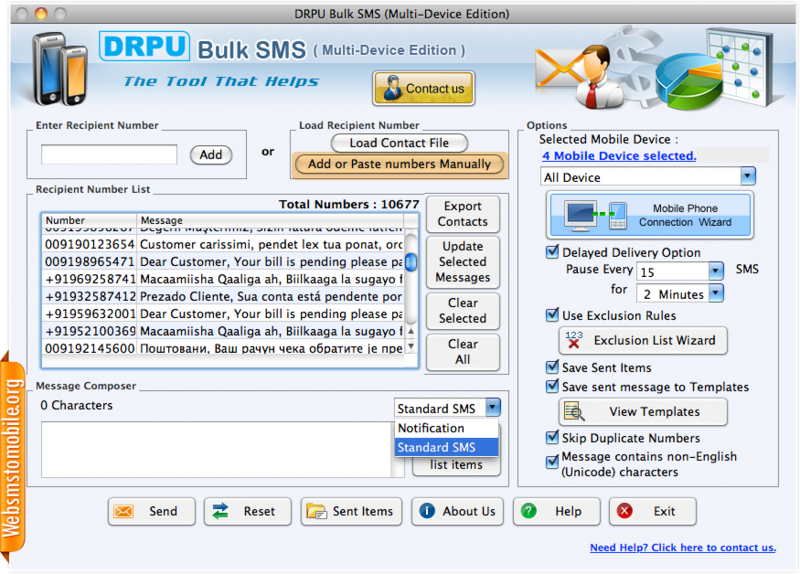 Put sms service center number and add number on which you want to send test message. Click on 'Use Selected Case for SMS Sending' to go to next screen. 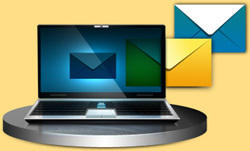 Select category of message - Standard SMS or Notification. Choose option to load recipient number. Add or Paste numbers manually and click on 'OK' button. 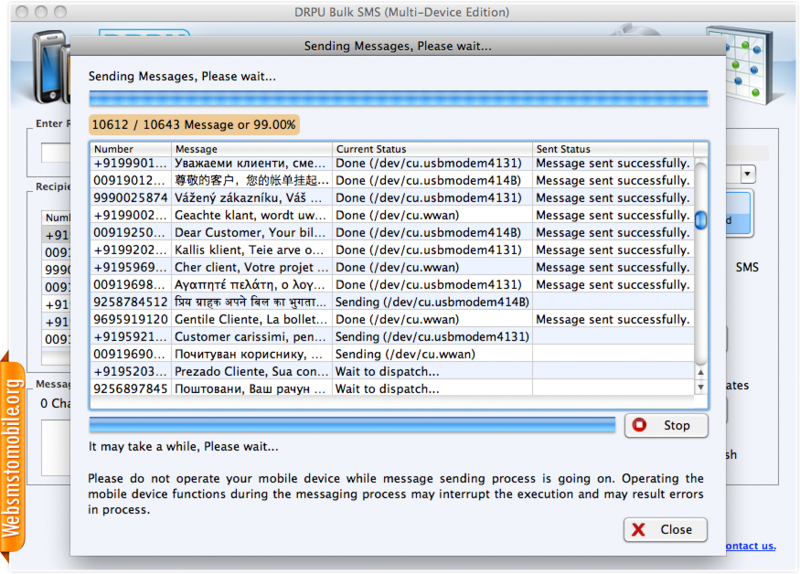 Screenshot shows current Status of SMS Sending procedure.